Ikea's recently announced wireless charging line of furniture is expected to jumpstart a trend that will amount to 10 million sticks of high-tech furniture sold in just two years, according to a new report. The report, from IHS Technology, didn't include the additional potential for "styled" stand-alone transmitters such as charging bowls, or the transmitters in the form of DIY (do-it-yourself) kits for retrofitting into existing furniture. 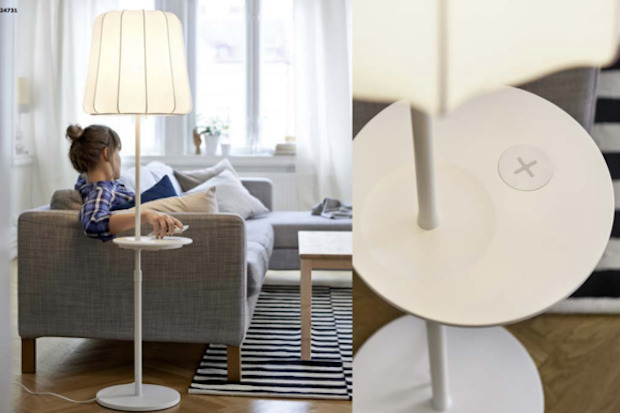 Ikea's furniture line uses wireless power semiconductors from Integrated Device Technology Inc. (IDT), whose product adheres to the Qi wireless charging specification -- one of three specifications that has seen industry adoption. The Ikea line includes bedside tables, floor and table lamps and desks. The furniture, and other items in Ikea's wireless charging collection, range in price from $9.99 to $119. In addition to furniture, Ikea has developed a line of charging pads as well as a wireless charger that consumers can build into furniture themselves. Integrated Device Technology's wireless charging transmitter chips use a copper coil to create a magnetic field through which electricity is passed along a specific wireless frequency. The chips can be tuned for the Qi or Rezence charging specification. "Whilst stand-alone transmitters [charging pads] will continue to account for the largest proportion of the market, sales of wireless charging furniture will help to increase the number of transmitters in operation, raising the proportion of end-users who are using and interacting with the technology," said David Green, research manager at IHS Technology. IDT's P9030 magnetic induction transmitters are embedded in new Ikea products including side tables and lamps. The furniture will be available in stores throughout North America and Europe by late spring. 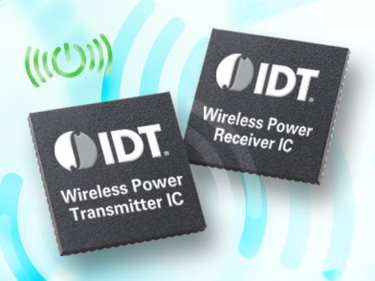 Integrated Device Technology's wireless power receiver chips that would be used in mobile devices. According to IHS, Ikea's stand-alone wireless charger using the Qi-wireless charging standard also retails at a lower price ($45 for a single coil) than the official Samsung wireless charger for the Galaxy S6 ($53). "The cost of wireless charging-enabled furniture from Ikea also costs only marginally more than comparable, non-enabled products - although with a much smaller range of products," Green said. Wireless charging furniture, including the latest Ikea range, will never become the dominant part of the transmitter market overall, the IHS report stated. However, the benefits of large, consumer-focused brands adopting wireless charging technology can only help to drive the industry forward and toward mass-market appeal. 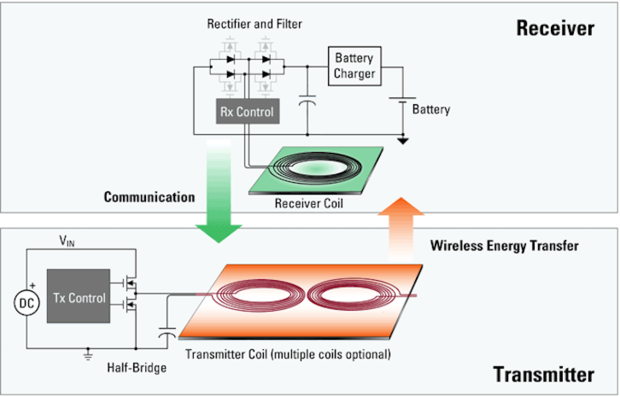 The nomenclature of a wireless charging system where a magnetic field is established using copper coils and elecricity is passed between a transmitter and reciever through a specific frequency.